The proposal-- it is the moment that most women wait for their entire lives. Some answer it with laughter, some with tears, but in most cases, the answer is always the same--yes. The engagement is announced, the date is set, and the bride is whisked away to complete an overwhelming amount of tasks in planning for it. During the hectic months before the wedding, the bride makes important decisions such as which color their wedding will be themed in, where the wedding ceremony and reception will be held, how to handle catering, who the bridesmaids are, and, equally as important, who the flower girl will be. So, what is a flower girl anyway, and what is the importance of having one in your wedding to begin with? 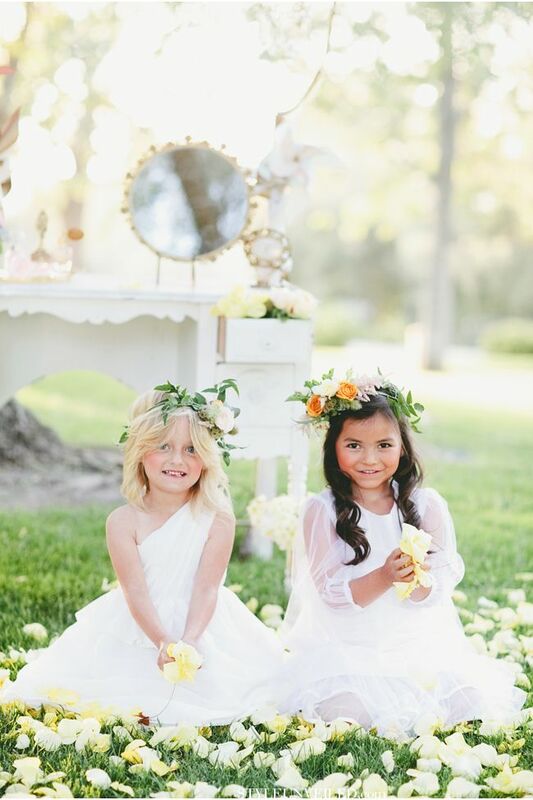 Flower girls, or "little brides", have been a major part of the wedding tradition since the roman times, and while the styles have been changed throughout the years, the role that the flower girl plays remain the same. The flower girl is the last of the wedding party to make her entrance in the ceremony before the bride emerges. Originally, these girls would carry herbs and wheat. According to ancient Roman tradition, the purpose of the wheat is to bless the couple with prosperity and bounty, whereas the herbs are meant to spice up the new marriage. In Medievals times, flower girls carried garlic in order to protect the young couple from the Black Plague. When the Victorian era began, the style of the dress was paid attention to, and the superstition regarding the contents of the young maiden's basket was less important. Today, the dress is still an important part of the wedding, and the flower girl's attire most often matches that of the bride's. The role of the flower girl is simple and elegant. Upon entering the ceremony, the chosen girl walks down the aisle in the same fashion as the rest bridal party. As she walks, she gathers flower petals from a basket that she carries, daintily distributing them on the floor. This creates a festive tone for the ceremony and thus paves the way for the bride to enter. Generally, the child is between the ages of four and eight. Once a girl grows past the age of eight, she usually becomes a junior bridesmaid instead, and the role of the flower girl is passed down to someone else.